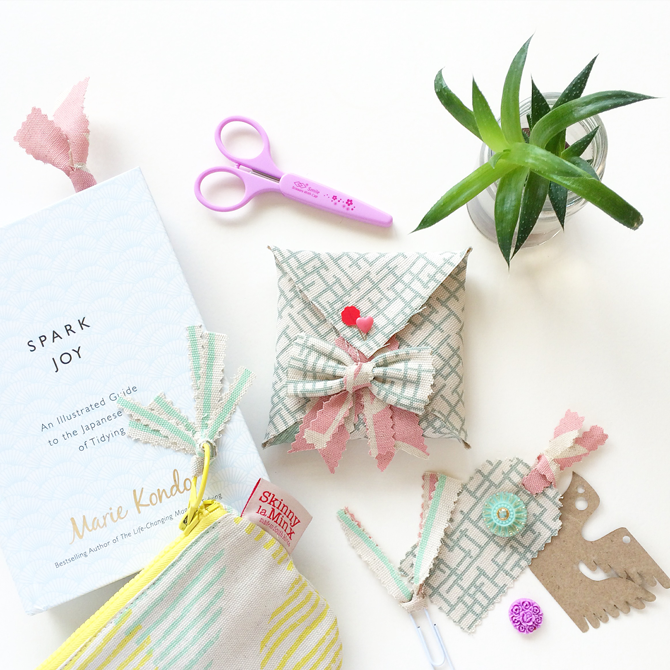 No cutting required - add your gift and fold it, lastly secure with a pretty pin or brooch. This is my personal favourite (totally bias). It is so easy - I cut the size with pinking shears (so fancy) and cut a thin piece of fabric and tied it around the centre. You can add a dot of Sew Simple glue from Bostik if you want to secure the pieces in place or add a stitch or two to secure it. Embroidery hoops are available from most haberdasheries or hobby shops. This is beyond easy - you just secure the square within the hoop, tighten it and cut off any excess fabric. You can add ribbon through the top to hang it up. 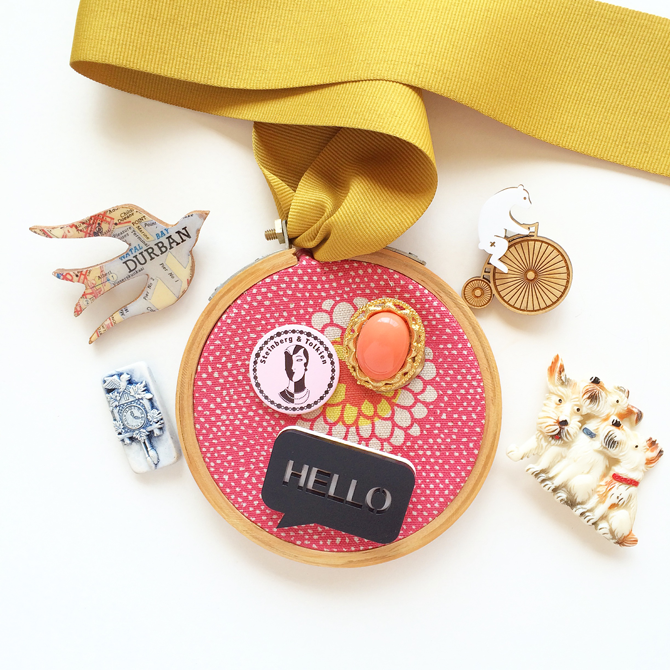 Ideal for showcasing your favourite pins or brooches. With your little scraps from the above - thread them through large coloured paperclips which are lovely as bookmarks or keeping your place in your diary. Works very well in my Filofax. 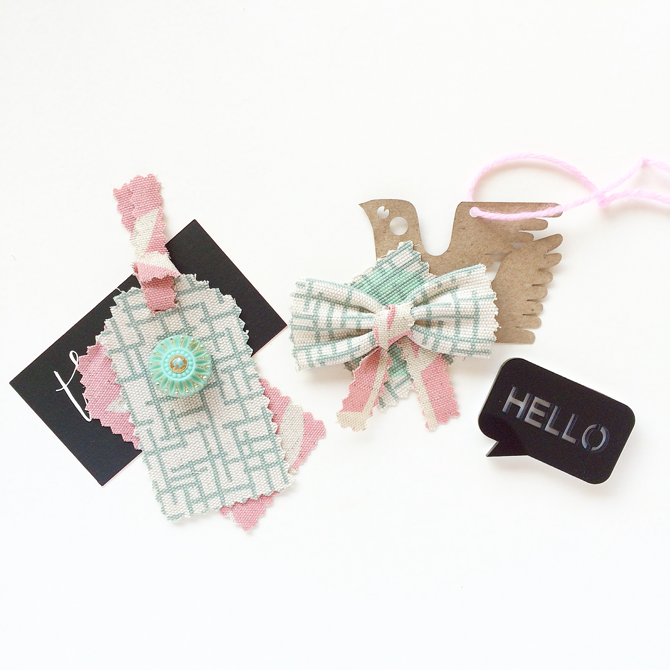 Or perhaps even cut a tag to add to a gift. Once you start cutting, sticking and having fun - you really can come up with so many ideas. Now, just imagine if you can actually sew! 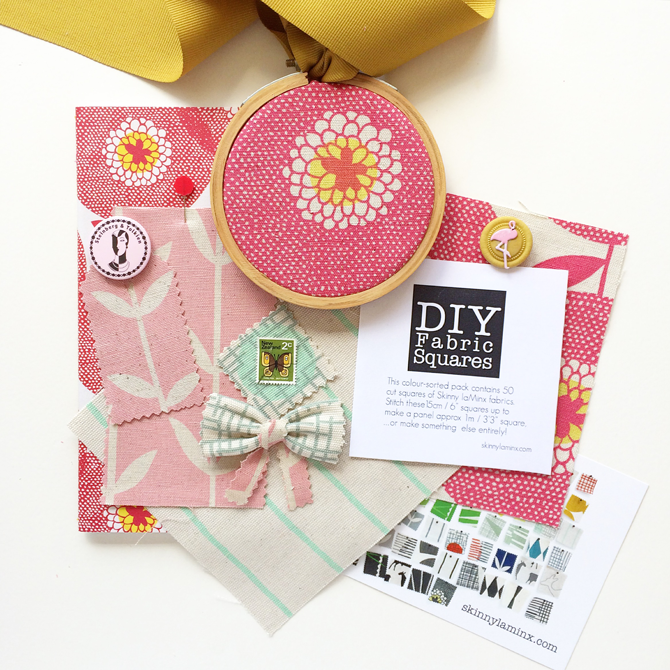 Skinny laMinx is one of my favourite local creative businesses and I admire Heather and her team's work so very much. In fact... I use the business as one of the branding examples at my creative business workshops - the team kindly sent over a range of elements to showcase their inspired look and feel. Additionally, Making Friday (or any creative time) is key to innovation and development within business. It enhances your thought process and allows your mind to break free from the parameters we face daily. I truly suggest freeing up time to MAKE... you might just discover your next best seller or if all else fails you will get to enjoy some time out and who can argue with that! Making Friday has taken on a range of shapes within the Skinny laMinx brand - from inspiration through to products... just take a look here or here.